Whether you need a new roof for your existing home or you’re building a brand new house, it’s essential to choose a quality roof. A roof offers far more than just protection for your home. It has the potential to affect the energy efficiency, overall space, and light throughout the home. You also want to consider the overall style the roof will bring to the home when making your decision. At Admiral Roofing we build the strongest roofs in the industry. We strip the old felt off your deck, remove all nails to minimize future nail pops, then inspect your deck for rotten wood before we install your new felt. When installing your new shingles, we add Storm Guard in all valleys and around all pipes and potential leak areas like chimneys and skylights. These extra steps are not standard, but are our way of going the extra mile to minimize the chance of a leak. The best roofs are from Owens Corning and installed by Admiral Roofing. Here are some examples of common roofs in the Mississippi and Tennessee areas. An excellent type of roof to discuss with your roofing contractor is a hip roof, which slopes on all sides. The sides are the same length, and at the top, they come together, forming a ridge. 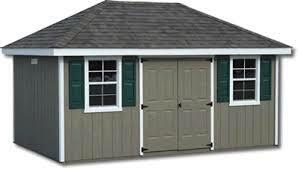 This type of roof is more stable than the gable roof, mentioned below, so they work well in areas that are snowy and areas that get high winds. In the southeast Tennessee hurricane prone regions this is an excellent roofing system to choose. These roofs also offer plenty of ventilation, the ability to include additions, and extra living space. The hip roof has four sides and is always slopped on each side. The sides are of equal length and meet at the top of the roof top form the ridge of the home. The hip and valley home is constructed very similarly to the hip roof and falls into the Memphis common roof types as well. There are fifteen roofs that would be fairly common in the Tennessee area for various reasons however we will concentrate on these roofing systems which are most common in not only Memphis but throughout the Northern Mississippi areas as well. A common hip and valley roof would have an L shape to it that create a valley and this is where the name hip and valley comes in. The hip roof would be considered a better roof type by some Memphis roofer since there are no valleys to contend with. The construction of a valley with roofing materials leads to a little more complex roofing job. The valley in a hip and valley roof also leaves a chance for a roof leak and need for roofing repair if not constructed properly. The proper way to build a valley would be to start first by making sure all nails and debris have been removed. The first product to put on your roof building a valley is called ice and water shield. Owens Corning makes a product called WeatherLock that Admiral Roofing uses daily on all homes reroofed in Memphis and Northern Mississippi. Hip roofs are a very stable roofing system due to the inward slope of all sides of the roof. This makes the hip roof excellent in high wind and heavy snow areas. Hip roofs also offer some extra living area for a vaulted ceiling and attic room. The hip roof allows for good attic ventilation which is critical for a long roof life along with making additions like dormers and crow’s nests easier. I would recommend no less than a 4/12 pitch for roof warranty reasons and my personal favorite is a 7/12 which gives better attic room and is easier to reroof and doing roof repairs. One of the most popular and best roof options for a Memphis home is the gable roof, which is often called the peaked or pitched roof. They have a triangular shape and offer many benefits. They shed both snow and water easily, provide great ventilation, and they offer plenty of space for vaulted ceilings or a full attic. Since they have a simple design, they are cheap and easy to build, which can save you money. In Memphis and Northern Mississippi, you will see this roofing system often. We have roofed many gable roofs in Collierville, Germantown, and Memphis and one reason stands out, the gable roof is simple. You can recognize a gable roof quickly by its triangle shape. Gable roofs shed water easily and quickly as well as snow for more snowy regions. The simple design makes the gable roof cheaper and easier to build. You can roof a gable style home with practically any roofing material. The simple design makes the gable roof great for asphalt shingles, metal, standing seam, slate and a host of other roofing materials. A true gable roof with standing seam metal would just about guarantee no leaks. There are several different styles of gable roofs. You have the side gable, crossed gable, front gable and Dutch gable as most popular gable roofs. In Memphis, the Dutch gable is a very popular roofing style. A Dutch gable is a cross between a hip and gable roof. Basically, a gable roof is placed at the top of a hip roof to add more room as well as making a cleaner look. Front gable roofs are normally placed at the entrance of the house. This type of roof is seen on colonial style house. The crossed gable roof is also very popular in Memphis through the Northern Mississippi areas. To explain the crossed gable roof, it is where two gable roofs are put together at right angles. The two ridges are perpendicular to each other. The lengths, pitches, and heights may or may not be the same. The first image on this page is a crossed gable roof. With all the pros to a gable roof, you might think it is the perfect roof for your Memphis home. There are however some negatives to the gable roof. The gable roof can be problematic in high wind areas. In Germantown, Collierville is Northern Mississippi high winds are a yearly threat. With such a wind threat you need to make sure your gable roof is constructed with proper supports. Make sure your contractor uses hurricane clips throughout the construction. If the overhang is too long, high winds can create an uplift underneath and literally cause the roof to detach from the walls. Often referred to as a French roof, the mansard roof is four-sided and has a double slope on every side that comes together to create a low-pitched roof. Talk to your local trusted roofer and you’ll find that these roofs offer plenty of additional living space, which can be used for extra living quarters or a full attic. They also offer you the flexibility to easily make additions to your home in the future, which is helpful if your needs for the home change or you want to add some value to your home. While these roofs may cost a bit more, the additional space they offer, as well as their unique style, is well worth the cost. The additional living space provided by this roofing system is one reason you will see it on so many Memphis and Northern Mississippi apartment buildings. Wood shingles and shakes are made from cedar, redwood, southern pine and other woods making for great roof types Memphis. Wood shingles are machine-produced, while shakes are handmade and a little more rustic in style. Keep in mind that some local building codes limit the use of wood shingles and shakes because of fire resistance concerns, given that many wood shingles and shakes only have Class C fire ratings or even no ratings at all. However, Class A fire ratings are available for certain wood shingle products that incorporate a factory-applied, fire-resistant treatment. Clay or concrete tile is a durable roofing material. Mission and Spanish-style round-topped tiles are used widely in the Southwestern United States and Florida, and flat styles also are available to create French and English looks. Tile is available in a variety of colors and finishes. If you are replacing another type of roof system with tile, you will need to verify that the structure can support this heavy material. Slate is available in different colors and grades, depending on its origin. While it is virtually indestructible, it’s also more expensive than other materials. In addition, its application requires special skill and experience. Metal has been found to be a great roofing alternative for home and building owners with steep-slope roofs. Metal panel roofing exists in numerous shapes and configurations. Metal shingles typically are intended to simulate traditional roof coverings, such as wood shakes, shingles, and tile. Apart from metal roofing’s longevity, metal shingles are fairly lightweight, have a greater resistance to weather and look great. Some even have Class A fire ratings. Membranes are hybrids of the built-up system, only pre-manufactured in the factory. The products come in rolls and are made of modified asphalt or coal tar systems with rubber added for low temperature and elongation characteristics. These products typically use a built-up membrane underlayment before application of the applied, self-adhered or mopped in place with hot bitumen. We always surface with a type of Topping System. Polyvinyl Chloride Sheets are manufactured into rolls and are usually mechanically fastened to a roof deck assembly. Screws and plates are used to hold the roof membrane to the roof assembly. Seams are welded together using heat and are oftentimes sealed with a lap sealant. PVC membranes are reinforced with a fabric scrim and available in tan and white colors. This membrane may not require a topping system. TerPolymer Olefins are typically fleece-backed sheet membranes that are adhered with adhesives to insulation. These products are typically white in color and may be reinforced. On such systems, there may not be a topping system. Single Ply roofing systems are simply a single ply of a roofing material made from several types of polymer plastics and rubbers. There are basically two types of built-up roofing (also known as BUR). The primary difference is that either a coal tar pitch or asphalt waterproofing could be used as the waterproofing element between piles of reinforcing felt. Both systems have different advantages. Ethylene Propylene Diene Monomer is manufactured into large sheets for application to insulation on a roof. The material can be loose laid and ballasted with rocks or pavers to hold the membrane in place. EPDM may be fully or partially adhered. Seams and the membrane are adhered with contact adhesives, with seams sometimes sealed with a sealant. Toppings may or may not be required by the manufacturer in many cases. This product is available in the color black. When faced with a confined urban space, numerous roof penetrations or restricted use of hot asphalt or heat welding, there’s now an ideal solution to your roofing constraints. Construction Masters Roofing liquid-applied systems provide a seamless waterproof membrane that is easily applied and conforms to any penetration shape.